"Train monsters to fight in the epic virtual world"
Game Goal: Join the virtual world of ancient evils and vicious monsters. You must survive battles and train your own monster team. Work as the ultimate team to eliminate the bosses and wage epic wars with real-time PvP. How to Play: Design your own avatar and take it on an exploration of the live virtual world. 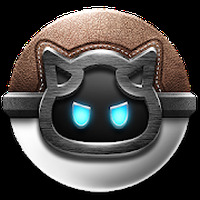 Hatch your own monsters and train them to be part of your fighting troop, invite your friends to join your troop to increase your power. Capture and raise other monsters collecting them all. 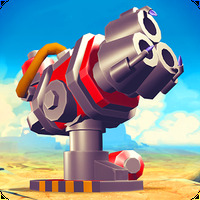 Take on other rival troops with your awesome team and coordinate attacks. Game Options: Play an additional monster-battling puzzle MMO and take part in monthly raid events. Graphics: The game has simple, bold and colorful graphics. Content Classification: This game is perfect for all ages, it is like a cross between Pokemon and World of Warcraft. 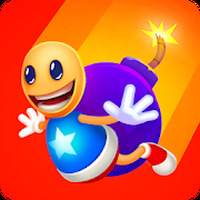 Developer: PennyPop is based in United States	- Developer recommended by Android Market. Installation requirements: A minimum of 80M of free memory space and Android 3.0 or higher. Ranking: The TOP 1 Most downloaded games in Battle Games category. Do you like Battle Camp? Addicting! Fun, customizable character & addicting game play! Finally Finally got released on android YES!!!!!! !